“local rank & send you to Pera to take his place there” This was very satisfactory at all events but fancy it being followed up by this – My dear Sir, “Can you lend me 8 Sovereigns for a few days I am buying an Araba & a pair of Horses which I did not count upon doing when I last remitted to England. My room crowded with people while I write – Officers Comdrs. 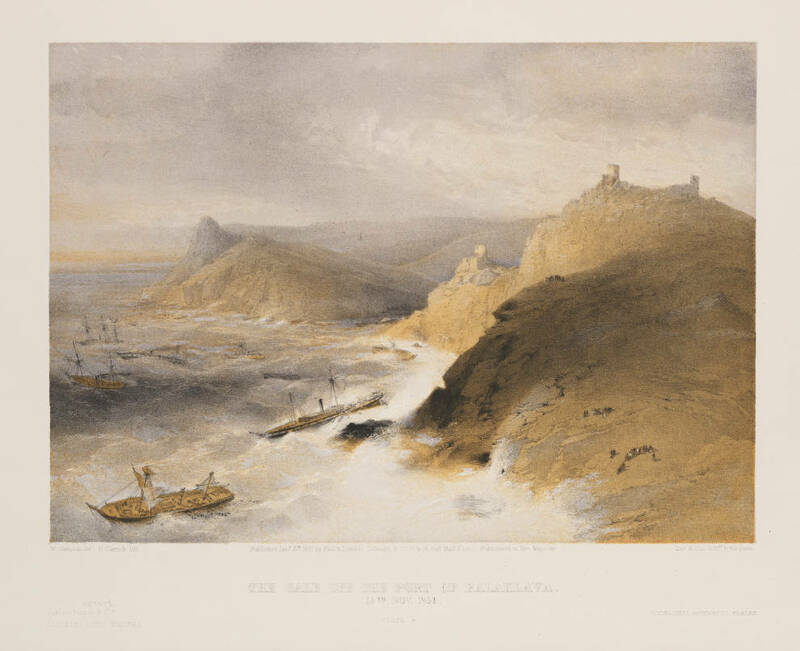 Soldiers Ship Captains Turks all waiting for replies &c.
The Gale off the Port of Balaklava, 14th Nov. 1854, by William Simpson. http://digitalcollections.smu.edu/cdm/ref/collection/eaa/id/1349, accessed 6 May 2015.